I have never featured maternity-related content on my blog before. 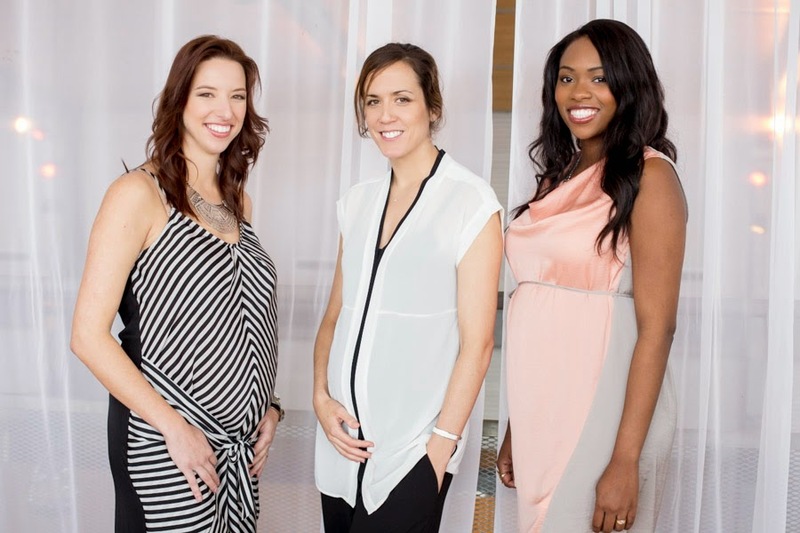 But it's not everyday that Mélissa Nepton, aka one of my favorite Montreal designers, creates a summer capsule collection for Thyme Maternity. If there is a designer who understands that moms-to-be want to feel feminine and comfortable without sacrificing style, it's definitively the talented Mélissa Nepton, who is now expecting her second child. Known for her fluid, modern and sophisticated approach to fashion, Nepton will be launching her very feminine and flirtatious collection on May 17th in thirty-three Thyme Maternity boutiques across Canada. Comprised of 10 key pieces, it is interesting to see how this new line also features the distinctive characteristics of Nepton's regular collection such as her signature chiffon blouses, striped tanks and draped dresses. While the designer usually includes black and white pieces in her collection, I find that the soft touches of pink and seafoam add a modern femininity to the line. What an effortlessly chic collection, don't you agree?